To build a Christian community where the covenant of God is revealed in our active engagement with the world. We will achieve our mission by informing minds, transforming hearts, and renewing lives and communities through the gospel. Arcola Covenant Community was launched with Reverend Matthew Na as lead pastor on January 1, 2008 as the merger between the two previous English ministries of Arcola Korean United Methodist Church AKUMC: Trinity Christian Fellowship and The Alpha Group. Trinity Christian Fellowship TCF was the English ministry of AKUMC consisting of young professionals and college students, many of whom were Reverend Na’s youth group members in the early 2000s. The Alpha Group consisted of a more mature demographic, accommodating for a growing number of English speaking families. As the number of TCF and Alpha Group congregants began to increase, Reverend Na and the church leadership decided to combine both English-speaking ministries into one. As the name suggests, Arcola Covenant Community was envisioned as a Christian community united by a covenantal relationship with God and with one another. As God continued to bless ACC and grow the congregation, Pastor Kenneth Hwang came on board as the Associate Pastor in early 2012. 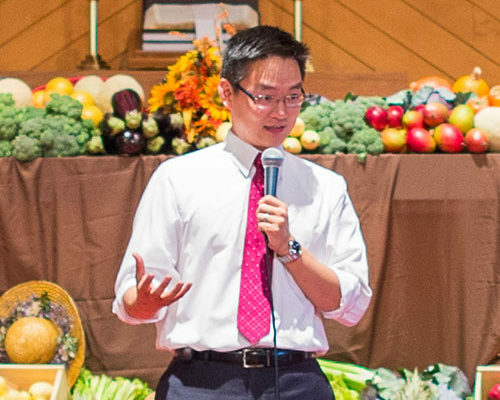 After Reverend Na took a leave of absence in summer 2013, Reverend Sam Park came on as lead pastor in September of the same year. Under our church leadership, ACC members are equipped and empowered to live out the mission of "building a Christian community where the covenant of God is revealed in an active engagement with the world." We are United Methodists. As such, United Methodists come in all sizes, shapes, colors, dispositions, outlooks and life stories, but share a unique history and faith perspective. Our members speak many languages and live in many countries. No matter how or where they serve Jesus Christ, United Methodists do God’s work in a unique structure—referred to as "the connection." This concept has been central to Methodism from its beginning. Connectionalism comes to life through our clergy appointment system, our mission and outreach, and through our collective giving. We live out our call to mission and ministry by engaging in ministry with the poor, combating diseases of poverty by improving health globally, creating new places for new people and renewing existing congregations, and developing principled Christian leaders. No one congregation can do all these ministries, but together—through the power of our connection—we can make a tremendous difference. Methodists have been known for our emphasis on a personal faith, lived out in concrete ways in the world. We have historically valued well-informed and passionate preaching, worship that was lively, and small groups where people could grow in faith. We, as Methodists, have open hearts, and open minds—and welcome anyone interested in learning more about the Christian faith.